Few things given me more pleasure than looking after good clothes, and being rewarded with a better-lasting and even better-looking wardrobe. This happens most obviously with leather products like shoes and bags, and arguably with some suits and jackets. But less so with knitwear, which can be hard to maintain and repair. 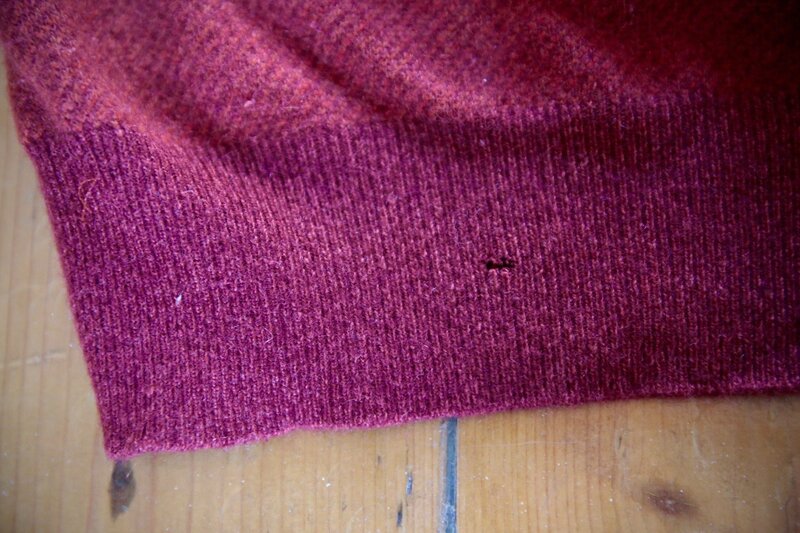 I’ve written in the past about darning my own sweaters (usually moth holes) and about altering them by sewing up the side seams. But these are all essentially amateur attempts. 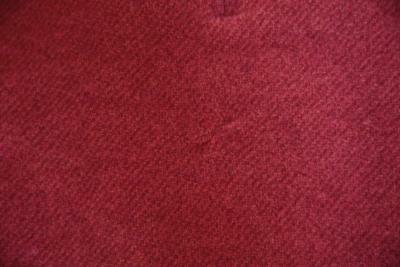 I was particularly interested, therefore, when a friend recommended a Scottish outfit called Love Cashmere, in Hawick. All for £26. I sent them two sweaters to try it out: a red Loro Piana ‘roadster’ sweater and a navy Al Bazar piece in a similar style. 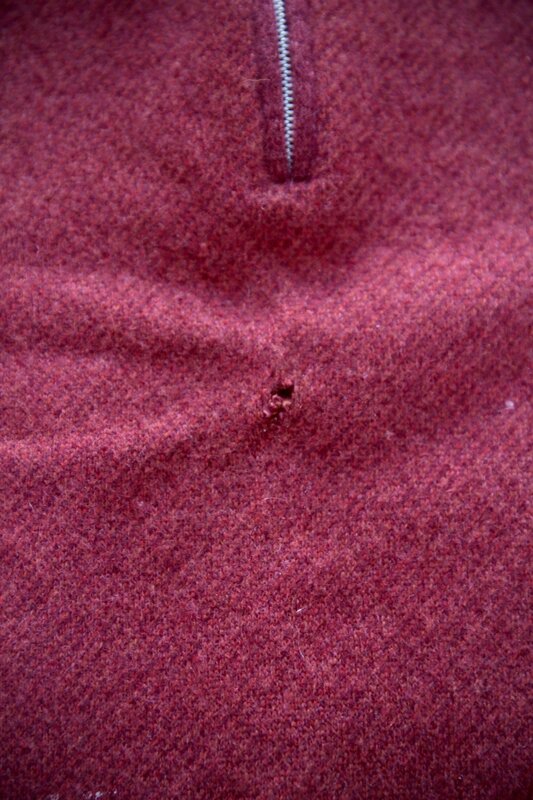 The Loro Piana one had a large moth hole in the centre of the chest, which made it pretty much unwearable, as well as one in the ribbing. 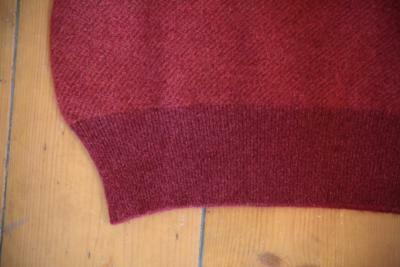 Both sweaters were much loved and worn, and also had a lot of fuzz and pilling going on. It’s hard to reflect the issues accurately in pictures, but included here are the before and after shots, showing how much the pieces have been improved. The before shots are shown above, the after shots below. The moth holes were not easy to repair, as one was a relatively large cut and the piece itself was a marl with lots of shades of red and orange. But they still did a very good job - certainly better than anything I would have done. The pilling was completely removed. This is something you can do yourself to a certain extent, but again I’ve never managed to do it to this level, despite trying various tools. And almost most importantly, both sweaters feel like new. The washing and pressing, together with the de-pill/de-fuzz, makes it feel like you’re unwrapping a completely new sweater (for £26). I’m genuinely excited about wearing them both again. I was also interested to discover that Love Cashmere can both alter sweaters and stretch them (to an extent). So rather than my attempts at slimming the waist by sewing it, for example, they will link up the side seams and overlock them - both neater and more reliable. I have also stretched sweaters in the past by wetting them, using a rack or similar to stretch the arm/body, and leaving them overnight. The results were OK, but unpredictable. Love Cashmere do it regularly, though they warn that only small changes are possible. Still, we all know that just an extra half inch on a sleeve can make a big difference. I will be trying both additional services in the next few weeks. In the meantime, I highly recommend the basic care service: great results and great value for money. You can follow the discussion on Repairing, darning and reviving cashmere: Love Cashmere, Hawick by entering your email address in the box below. You will then receive an email every time a new comment is added. These will also contain a link to a page where you can stop the alerts, and remove all of your related data from the site. This is an amazing service and for £26 a bargain. I spend a fortune on cedar handwash products, de-piling combs and so much time trying to look after my items. Its still never perfect. Being in Hawick can I assume they are an offshoot of Lockie. I know Lockie offer a washing service but obviously only for their own items. No, we’re not related to William Lockie. Our manufacturing name is Shorts of Hawick. We care for any brand, as long as the item is knitwear. 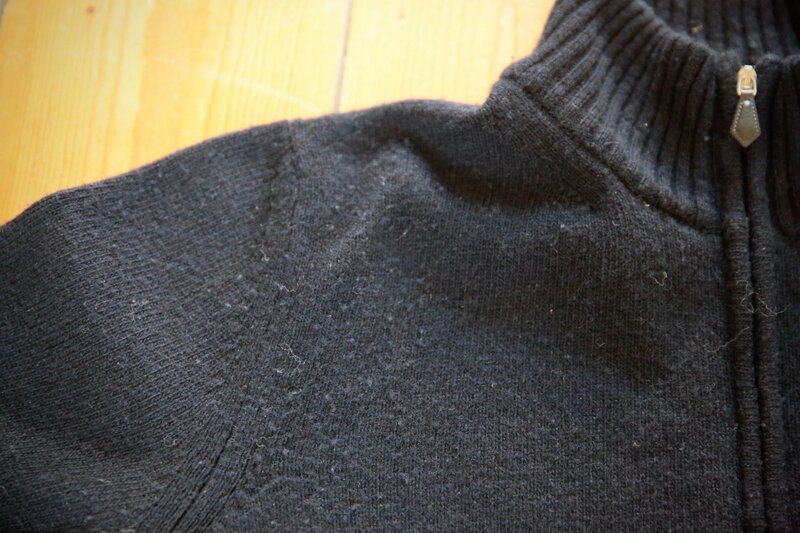 Any brands you recommend where I can get this kind of zip neck cashmere? I’d certainly recommend the Loro Piana, though that might be a little too expensive. What an absolute bargain! Thanks for letting us in on this one. How long does the service typically take? 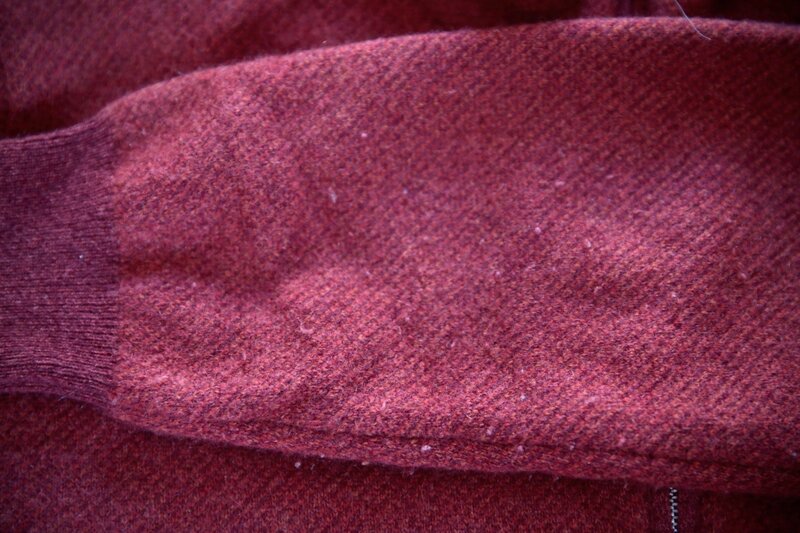 I have a 1 ply cashmere polo from William Lockie that is a favourite and in the past needed the odd (very amateur) repair by myself. 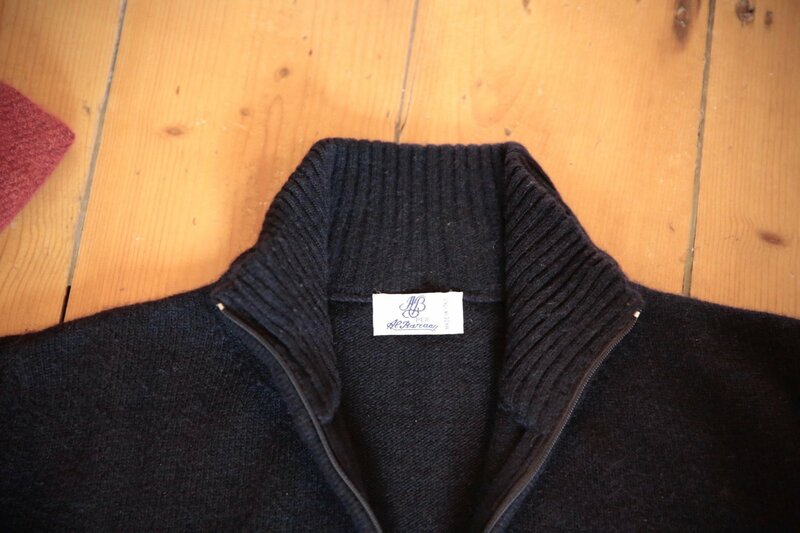 Great to hear about Love Cashmere who can make it look as good as new for a decent price! Hi Simon……I regularly have knitwear adjusted by my tailor where a side seam exists; believe he unpicks it, cuts accordingly and re-locks the seam. Is this the process that you are referring to or does the over locking process differ? 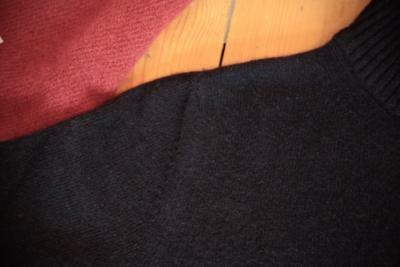 Simon, you mention alteration of cashmere jumpers: for those of us that don’t trust our DIY skills (see your 2009 article) can you recommend anywhere (in London if possible) that might be able to make decent alterations? You mention that Love Cashmere might do it, but I can’t find any information on it on their website and I suspect its better for alterations for them to see you (and pin the clothing) in person, which is obviously more difficult for those of us not based in Scotland. I bought a cashmere v-neck from William Lockie a few years ago and haven’t had much use out of it because it is rather baggy fit in the abdomen and the arms. The quality seems very good (to me at least) and it would be great to be able to slim it down a little. There isn’t anywhere in London I’d recommend I’m afraid, no. I know what you mean about having someone pin you, but if you have a sweater you like the fit of, you can just measure the waist of it. They will just run that up into nothing at the armpit and ribbing. Excellent service at a more than excellent price. The more serious issue is, though, what to do about the dreaded clothes moth, the cause of a lot of these problems? Have you found a solution that doesn’t involve moving out of your house whilst it gets fumigated? I can keep it under control, with some sticky pads to capture moths and a lot of cleaning. The key is to keep the room and cupboards clean, and air out the clothes fairly regularly. If you’ve been unlucky enough to get moths in your knitwear, put the items into plastic bags and put them into the freezer overnight. This will kill any larvae that may have been left behind. We recommend storing your cashmere folded in a sealed plastic bag, in a dark cupboard with a cedar block (we supply one of these on the return of every garment we receive, as well as a sealed plastic bag). It is also recommended that the garment is cleaned before storing for the summer, as all moth larvae are killed and removed during our process. This gives your garments the best chance against those pesky moths! I highly recommend a spray by laundress. The wool and cashmere spray – mr porter sell it in a set with the wool wash, amazing have it occasionally but sell out regularly. I also believe smedley sell it now and then. It is a cedar scented spray. I spray lightly on the garment and also inside the drawer when storing. Never had a problem with a moth hole in several years. I do also wash probably more regularly than I should. Every 3 wears or so in cedar laundress wash when I have it. This is an interesting post! In itself it shows how broad your view of menswear is. 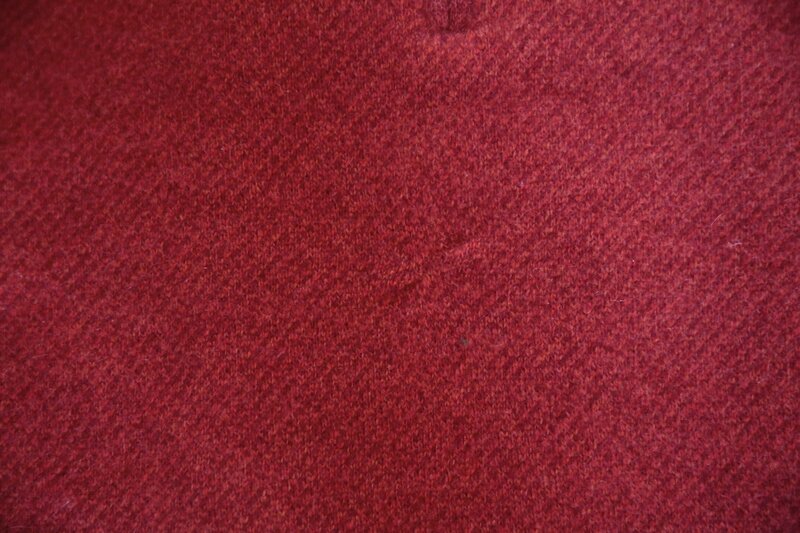 Years ago, I was looking for a tailor in Paris to make a slight alteration to my Huntsman tweed jacket. If quite a slight one, I wanted to have it right. Not knowing where to go, I sent an email to a French blogger presuming that he would even be happy to send me a good address. Strangely enough, I didn’t receive a reply. Thank you for this recommendation. 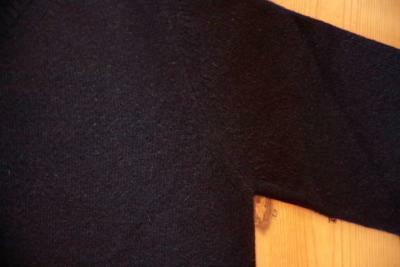 I have a single ply smedley cashmere pullover which has a pulled seam around the shoulder. Smedley replaced it with an identical new one and let me keep the old. I’ll give this service a try. I have a quick practical question. Do you wash your cashmere? And more generally how and how often do you wash your clothes (other than suits) and would you ever wear the same outfit two days in a row (or at least one piece of the same outfit)? I do wash it, yes, though infrequently. I have a lot, but I would guess perhaps once every six months? As long as you wash on delicate, or even better hand wash, and then dry flat on a rack, it should be fine. The second question is a pretty broad one. Off the top of my head, most other things I would wash after every use (shirts, T-shirts, underwear, socks etc). Interesting. I remember someone saying that cashmere actually “loves” water and that washing it frequently (on delicate of course) could even help with pilling. Anyway, so once you’ve worn a sweater you just put in back in the closet? Maybe I’m a bit of a latent neat freak but it would feel weird to do that. Why I’m asking: I’m currently abroad on an extended trip and have a limited wardrobe (a few shirts and pants, two sport coats etc.) Sometimes it’s just convenient to wear the same outfit two days in a row. I’m still trying to decide if that’s gross or not! Shirts yes (unless you wear undershirts), knitwear no (unless you wear it without anything underneath). Do you ever wear knitwear without a shirt or a T-shirt underneath, i.e. very thin Merino sweater? 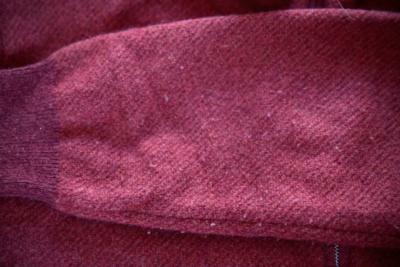 What about cashmere and silk scarves? They get smelly pretty quickly so I assume you wash them after a few wears as I do? 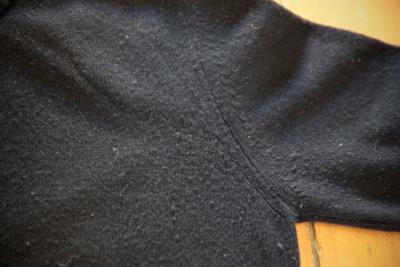 I just had a favorite heavy cashmere cardigan repaired and I’m glad I did. The elbows had worn away so that you could see the color of my shirt. I took it to a tailor who has a reputation for working with leather and he sewed on soft suede patches. this is a brilliant post. Thank you. I love cashmere, and I’ll be heading to Love Cashmere soon! 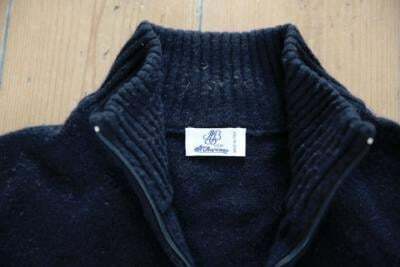 this seemed as good a place as any to ask whether you know of anyone who can repair the think treated outer layer of a Loro Piana storm system windcheater — two small dog-inflicted wounds on a beloved cashmere-lined jacket, one a small puncture hole, the other a horizontal tear about a tenth of an inch long. Here I consider myself a lucky guy. A very good friend moved to Florida from NYC and gave me a few cashmere sweaters ( Brunello Cucinelli, Loro Piana) in pristine condition. I used Dryel to clean them. It did a wonderful job. Well , little did I know that they were so expensive. My friend almost fainted when I told him what I had done. I am going to Europe on Friday and am looking forward to wearing them! I will be in London in two weeks for some shopping. I am looking for a fair isle jumper. Is there anything you could recommend? I used to like the ones Drake’s had few years ago but never had the chance to try them on. Thanks in advance for your advice! Thank you for bringing this to our attention. What a great result and good value. I will certainly try this out. What would you recommend for returning sweater sleeve cuffs to their original state? I have a tendency to pull the sleeves of my cardigans up onto my forearms when worn with t-shirts, ultimately stretching them out. Do they accept international customers, say from the US? Ended up ordering the Finest Knitwear Crewneck in both size S to wear by itself and size M over a dress shirt in both colors. You’ve created an unparalleled product at an amazing value – the flattening of the seams and removal of knots, combined with the wider & higher neckline and overall stylistic fit elevates it above the rest. I’ve since returned all the John Smedley sweaters I ordered and took the loss on shipping. There simply is no better RTW alternative to the Finest Knitwear. Thank you very much Simon for bringing this brilliant service to light. I sent them several cashmere sweaters in various states of need, and they were all returned wonderfully revamped and laundered. Karol runs a great service. Highly recommended. Simon, who in your experience makes the most pill-less cashmere knitwear? Also, do you think that ply number has an influence on the extent to which you can expect a jumper to pill? How often would you recommend?